Over the last few centuries, acting has developed into visual art that entertains people around the world in the form of stage plays or, in recent times, through the mediums of television and film. However, acting as we know it originated thousands of years ago with quite a different audience in mind. 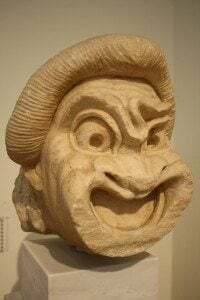 It developed as a weeklong competition ushering in the spring season and honoring the Greek god Dionysus, god of wine, music, and drama, and in some other interpretations, god of fertility. The festival often began with a procession through the city. This was believed to be a blessing of the crops of Athens so farmers would have a fruitful harvest. As the procession progressed toward the temple of Dionysia, some Athenian citizens rejoiced, dancing and playing tambourines, while others were much more solemn, displaying their dignity and wearing very lavish robes. The festival began with dithyrambs, or songs sung by a large chorus of usually 50 men. The remainder of the festival was dedicated to dramatic competitions in which five new plays were performed and judges gave prizes to the best authors and actors. accompanied the type of play. During the City Dionysia play, tragedies seemed to dominate the competition, however. Again keeping with the theme of three, actors usually assembled on stage in threes, and only men were allowed to perform. If there were roles that were meant for women, male actors portrayed the women. Many great Greek playwrights were introduced during these celebrations, including Aeschylus, Sophocles, and Euripides. 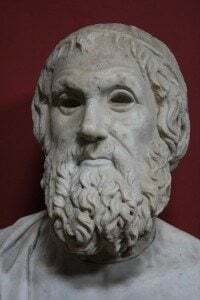 In the early 5th century BCE, Aeschylus – known as the great innovator because of his introduction of the second actor, which made the role of actors much more sophisticated – changed the standard of Greek plays developed by playwright Thespis, who was an Athenian poet and founder of drama. Aeschylus developed the tragic play as it is known today and was the first winner at the City Dionysus festival in 484 BCE. Sophocles’ plays are probably the best known surviving plays of antiquity. He introduced to the world of acting the struggle of the individual against fate in plays such as Oedipus Rex (The King) and Antigone. He went further than Aeschylus by adding one more actor to the play to create three, a final change that became the standard of Greek plays as we know them today. Euripides and Sophocles often battled on the same stage during the competitions, with Euripedes winning far fewer awards than Sophocles. This may have been due to his unconventional take on life and the role that the gods played in it. For him, people’s lives were dominated by chance not by the gods. His style can be compared to that of modern humanist philosophy, placing more emphasis on the common person being in charge of his or her own destiny, with gods having little involvement in matters of humans. This type of thinking was shocking, far ahead of his time, and earned him much criticism for choosing to focus on the mundane and not incorporating much more heroic god themes into the tragedies. Mcleish, Kenneth. The Greek Theatre: Aspects of Greek Life. Essex: Longman Group UK Limited, 1972. Nardo, Don. 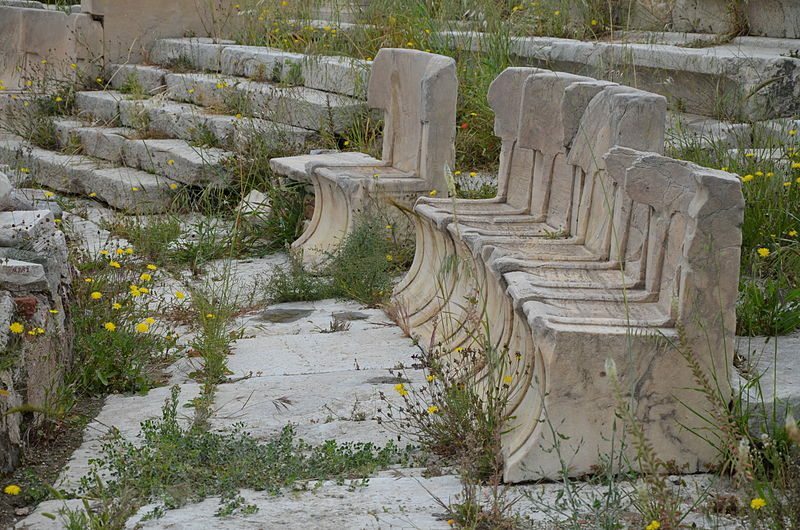 Greek and Roman Theater. SanDiego: Lucent Books, Inc., 1995. Grant, Neil. History of Theater. London: Hamlyn 2002. Theodoridis, George. Euripides’ Bacchae. 2005. Retrieved online on December 9, 2014 from http://bit.ly/1rg68VJ. Melisha “Mel” Childs was trained at the undergraduate level in modern history, primarily in New World Exploration and the development of Caribbean nations. She also loves to delve into topics of ancient history to discover not only the origins of humankind but also how she fits into this hourglass of the human “sands of time.” She is a blogger and is involved in promoting the growth and development of filmmaking in Georgia.